We have secured a great price on one of the best baits on the market. MP1 Exclusive Custom Bait Services Fenspice special with exclusive squid and plum flavour. The best boilies that you can buy.The quality of the ingredients means it cant be rolled through machines but by hand on Shilham rollers. We have managed to get a great bait deal together for Mirror Pool customers from Denham Baits. Shellfish Enzyme is easily our most underrated bait which seems to have a cult following by a select number of talented anglers. It is a superb brown coloured fishmeal bait that is made from a selected blend of high grade fishmeals, pre-digested fishmeals, birdfoods and milk proteins that makes it highly nutritious and easily digestible. A complete, well balanced food bait with added crunch from the crushed oyster shell. Incorporated into this bait is a brilliantly effective Shellfish flavour and Liquid Fish Amino combination. Our Liquid Fish Amino Complex is an enzyme active liquid that once added to the eggs during mixing starts to actively break the finished bait down, making the bait highly attractive as the amino acids are released. 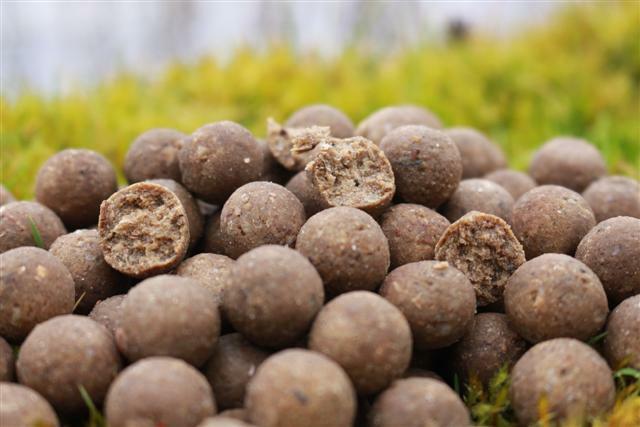 Coupled with the solubility of some of the ingredients it provides a potent feeding trigger that carp seem to easily home in on. The Red Enzyme is easily our best selling fishmeal based boilie and has accounted for a silly number of big carp by its regular users. A very balanced bait that is suitable for all seasons as it is produced using a minimal oil content with highly soluble and digestible fishmeals, that has caught carp in every month of the year from a variety of venues. It is made with a selected blend of marine and freshwater fishmeals and predigested fishmeals, birdfoods and milk proteins. 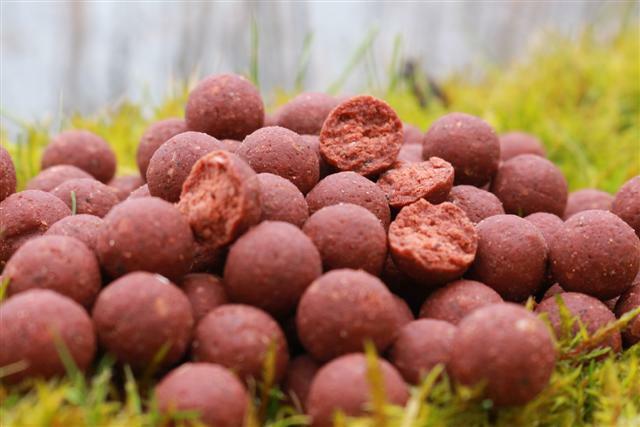 Robin red is also added to give the bait its red colour and helps with the vitamin profile. The bait is made by using our Liquid Fish Amino Complex which helps break the bait down and thus releases the enzymes that carp home in on when looking for a food source. 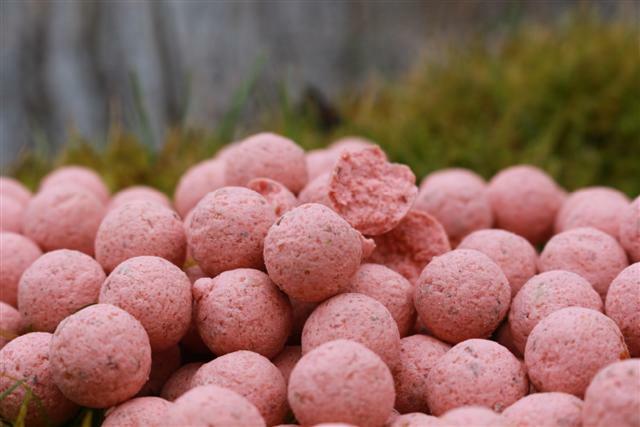 To this excellent bait we add a blend of subtle crayfish and magnificent Plum flavours. The Plum, in our opinion is one of the very best fruit flavours available on the market. Easily our number one selling boilie. This bait has caught literally thousands of carp since it went to market. A firm favourite with a lot of anglers who have had their best ever seasons whilst using it. Quite a number of our customers wouldn't feel confident using anything else and attribute a lot of their success to this bait. Although we would have to say that angling ability surely plays the biggest part! 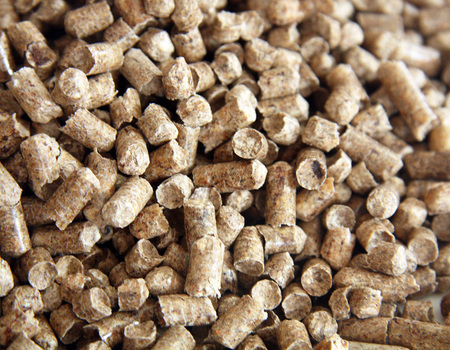 It is a highly digestible and stimulating nut based bait that is a blend of various human grade nut meals, birdfoods and milks. To this list of base ingredients we add a special ingredient which we call the Element that through a fermentation breakdown process, converts the non soluble starches to make them highly attractive to fish. By doing this it makes the bait more digestible and beneficial to the carp as well as being extremely enticing. When it goes sticky, as the sugars seep out it's at its absolute best! 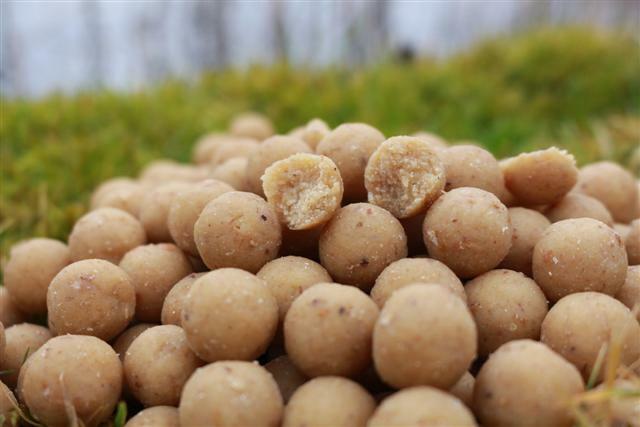 Then to this incredible bait we have used a highly successful sweet spice and dairy flavour combination that are both suited to warm and cold water applications. Which is testament to the number of bites the bait does all year round. The Element-L, destined to be another smash hit. It has already accounted for some spectacular results whilst it has been in circulation with some of our team members over the last year. Equally efficient in cold and warm water conditions, a bait that has done bites from some very difficult venues within hours of its introduction. Originally the brain child of the very successful big carp angler Gary Archer, who wanted something a little bit different for his chosen big fish venue. Which he then put straight to the test by catching a string of big fish including a December, English fifty pounder! It is essentially the Element with a few subtle differences. A change of colour to a light, washed out pink with a brilliant classic dairy flavour which is included at low levels to keep in with the deception theme of a bait that has been out in the lake for a while. If you're after a bait which is a change from the norm then it may well be something you're looking for. The Kranberry Enzyme is our latest development and to say we are happy with it would be a gross understatement! 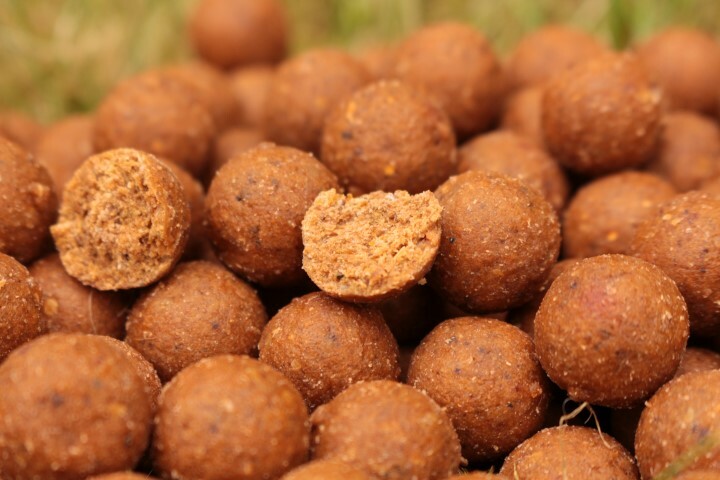 Its foremost a krill based fishmeal using the highest level of krill meal that we could comfortably get away with which is very evident in the finished bait as it gives it a deep orangey brown colour, as krill meal is orange in colour. Also made using a blend of other marine fishmeals, pre-digested fishmeals, egg based birdfood, milks and a couple of other bits and bobs to complete the base mix. Carrying on with the enzyme theme of our other fishmeal boilie range we also use our active Liquid Fish Amino Complex, this is then blended with a mix of cranberry and squid flavours and a spice essential oil which gives the bait not only a distinctive aroma but a brilliant edge, as this particular oil is one of the best attractors I've ever come across. The finished product is an active, krill based fishmeal boilie that has been out in the field for well over a year with some of our dedicated Team Members and has shown to be a real fish catcher, especially throughout the warmer months. A couple of guys used it all year round and found it to be effective during the colder months too. It was effective on almost every venue it was used on, from busy day tickets to big low stocked gravel pits with carp to over 50lb's. Boilie price £6.50 per kilo 14-24 mm in 5 kilo increments. Pop ups and liquids are £5 per bottle and tub. All pop ups are 15mm. Hard hookers are £3 per tub and can be 14 or 16mm. All orders to be placed directly by phone or email to Denham Baits quoting MirrorPool Fisheries or the discount won’t apply. All orders be placed at least two Fridays before they are due to go. All bait for your trips will be delivered to the customer on a Friday via FedEx and a tracking number will be provided. Additional post costs are £10 up to 25kg and a further £5 up to 50kg the customer on a Friday via FedEx and a tracking number will be provided. All payments are via Paypal as I don't do card payments over the phone.